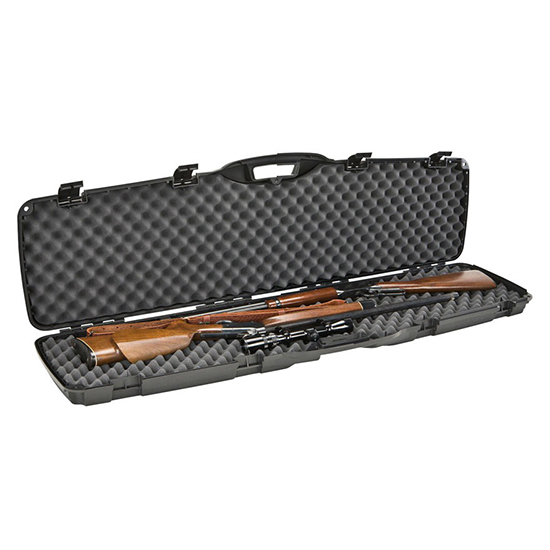 Fits two shotguns or rifles up to 50 long. Comfortable moldedin handle thick wall construction high density foam heavy duty latches. Is lockable and airline approved."